The order to kill journalist Jamal Khashoggi came from the “highest levels” of the Saudi government, Turkish President Tayyip Erdogan said in the Washington Post on Friday and he called for the “puppetmasters” to be unmasked. Khashoggi, a Washington Post columnist critical of the Saudi government and its de facto ruler Crown Prince Mohammed bin Salman, disappeared after he entered the Saudi consulate in Istanbul exactly one month ago on Oct. 2. Erdogan, in an op-ed piece in the newspaper, said he did not believe “for a second” that King Salman had ordered “the hit” on Khashoggi and he also refrained from directly accusing the crown prince. An adviser to Erdogan said last week that MBS, as the crown prince is informally known, had “blood on his hands” over Khashoggi’s killing, the bluntest comments yet from someone linked to Erdogan about Riyadh’s de facto ruler in connection with the death. “No one should dare to commit such acts on the soil of a NATO ally again. If anyone chooses to ignore that warning, they will face severe consequences,” Erdogan warned in the op-ed piece. Erdogan accused the Saudi consul in Istanbul of lying “through his teeth” and the Saudi chief prosecutor of refusing to cooperate, stalling the process and not answering simple questions. Erdogan said there was more to Khashoggi’s death than just action by “a group of security officials,” he said. Earlier on Friday, another Erdogan adviser said the team that killed Khashoggi in Istanbul cut up his body in order to dissolve it for easier disposal, the newspaper Hurriyet reported. Yasin Aktay, who advises Erdogan and was a friend of Khashoggi’s, told Hurriyet that the body was disposed of by dismembering and dissolving. Mohammed bin Salman described slain journalist Jamal Khashoggi as a dangerous Islamist days after his disappearance in a phone call with President Trump’s son-in-law Jared Kushner and national security adviser John Bolton, according to people familiar with the discussion. In the call, which occurred before the kingdom publicly acknowledged Khashoggi’s death, the crown prince urged Kushner and Bolton to preserve the U.S.-Saudi alliance and said the journalist was a member of the Muslim Brotherhood, a group long opposed by Bolton and other senior Trump officials. In a statement released to The Washington Post, Khashoggi’s family called the characterization of the columnist as a dangerous Islamist inaccurate. A person familiar with the discussion said Bolton did not signal that he endorsed the crown prince’s characterization of Khashoggi during the call. Saudi Arabia has faced international condemnation for its shifting accounts of Khashoggi’s disappearance Oct. 2 at the Saudi Consulate in Istanbul. The White House declined to discuss sensitive conversations with the Saudis or say how many phone calls the crown prince and Kushner have had since Khashoggi’s disappearance. Mohammed has spoken to Kushner multiple times, according to people familiar with the matter, but the most recent call with Bolton and Kushner happened Oct. 9. Officials spoke on the condition of anonymity to discuss a sensitive topic. Other Middle East leaders have come to the crown prince’s defense. In recent days, Egyptian President Abdel Fatah al-Sissi and Israeli Prime Minister Benjamin Netanyahu have reached out to the Trump administration to express support for the crown prince, arguing that he is an important strategic partner in the region, said people familiar with the calls. Israel, Egypt and the United Arab Emirates have united behind the Trump administration’s efforts to bring pressure on Iran and force through a Middle East peace deal between the Israelis and Palestinians. Other U.S. allies, notably Germany, Britain and France, have voiced serious concern about what happened to Khashoggi, who wrote opinion articles critical of the Saudi leadership in The Washington Post. The Trump administration revoked the visas or made travel ineligible for 21 Saudi nationals implicated by Turkey and Saudi Arabia in Khashoggi’s death. As U.S. officials contemplate a more robust response, Kushner has emphasized the importance of the U.S.-Saudi alliance in the region, said people familiar with the conversations. Other officials at the State Department and Pentagon, however, have said the options under consideration could include a clear discipline of the Saudi government or a demand to end the Saudi-led blockade of Qatar or wind down the war in Yemen. Officials cautioned that no decision has been made, and Trump has expressed little desire to significantly alter U.S.-Saudi relations, but there is an interest in a full vetting of the potential options. Kushner’s efforts to carefully cultivate a relationship with the heir to the Saudi throne make him a critical voice in deciding the Trump administration’s response. After several private talks early in the administration, Kushner championed Mohammed as a reformer poised to usher the ultraconservative, oil-rich monarchy into modernity. Kushner privately argued for months last year that Mohammed would be key to crafting a Middle East peace plan, and that with the prince’s blessing, much of the Arab world would follow. It was Kushner who pushed his father-in-law to make his first foreign trip as president to Riyadh, against objections from then-Secretary of State Rex Tillerson and warnings from Defense Secretary Jim Mattis. In the early days of the administration, Kushner often preferred to talk to the crown prince privately but now coordinates his conversations with the National Security Council. Kushner visited the crown prince at his palace in a secret October 2017 trip, a plan so closely held that it caught some White House and intelligence officials by surprise. The two 30-somethings stayed up late into the evening alone discussing the prospects of Kushner’s Middle East peace plan. A few days later, the prince ordered the house arrest of dozens of rival royals and imprisonment of other enemies in a bid to solidify his control of the government. The White House and the Saudis have denied Kushner approved the power grab. Saudi officials had made no secret of their antipathy toward Khashoggi, including expressing consternation last year when he began writing a regular column for The Post. In the days after his disappearance — before the Saudis acknowledged his death in Istanbul — a person close to the royal palace said Mohammed was puzzled by the high level of concern about Khashoggi, whom he considered part of the Muslim Brotherhood as well as an agent of Qatar. Khashoggi’s family said his views were much more nuanced than those described by Saudi officials. “Although he sympathized with certain objectives of the Muslim Brotherhood, he also sharply disagreed with many of their positions, especially toward Saudi Arabia,” the family said in its statement. Saudi Arabia severed relations with Qatar last year, charging among other things that it harbored Muslim Brotherhood “terrorists.” Although the Saudis maintained a cordial relationship with the Brotherhood for decades after its founding in Egypt as an Islamist political and social movement, Riyadh declared it a terrorist organization after the upheavals of the Arab Spring. Many Republican lawmakers and Middle East analysts on the right agreed with the Saudi assessment — in 2015, Rep. Mike Pompeo of Kansas, now Trump’s secretary of state, co-sponsored a resolution calling on the State Department to designate the Muslim Brotherhood a terrorist organization. During Trump’s campaign, several prominent supporters, including Bolton, called for such a designation. Egypt’s Sissi, whose military government overthrew an elected Muslim Brotherhood-allied government in 2013, and Israel’s political right share that view. Trump considered such an action early in his administration but was dissuaded by Pompeo, who had become CIA director, and others in the administration. They noted that while the designation would please some Arab partners, others in the region would reject it. The Brotherhood has mainstream political stature and legitimacy in Jordan, Turkey and Morocco, among other countries. 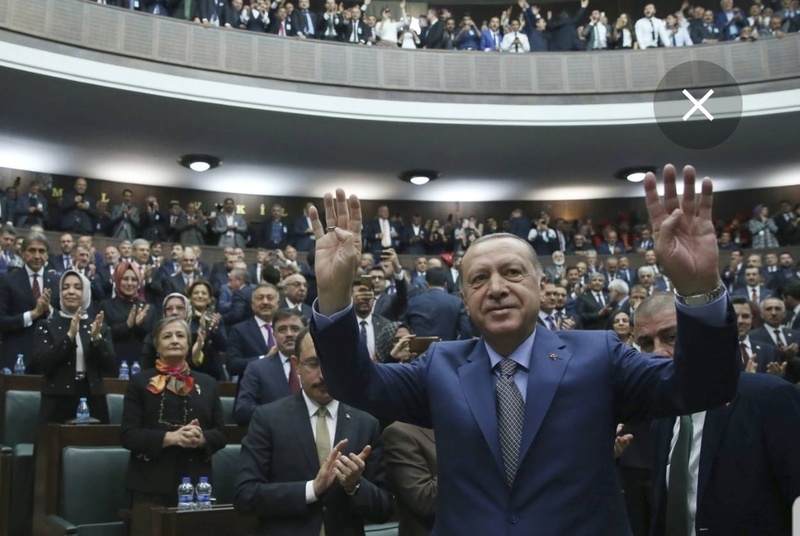 Erdogan , whose ruling party is closely associated with the Muslim Brotherhood has called on several occasions for Saudi Arabia to be held accountable for the killing. Several Arab countries have accused Erdogan of using Kashokgi’s death as an opportunity to dislodge the Saudi crown prince, a very risky strategy for Turkey. Erdogan called Trump on Thursday to talk about a handful of issues including the Khashoggi investigation, according to people familiar with the conversation, but neither government acknowledged in official readouts of the call that the investigation was discussed. Many journalists in Turkey are being persecuted and kept in jail all over the country. According to advocacy group Sweden-based Stockholm Center for Freedom that tracks cases of prosecutions of Turkish journalists, Turkey has 245 journalists locked up behind bars as of January 24, 2018. An additional 140 journalists face outstanding arrest warrants. The number of journalists behind bars is 191 as of Jan. 28, 2017. 231 journalists have been arrested after July 15, 2016 alone. A Turkish court sentenced last February three prominent journalists, to life in prison over allegations of involvement in a 2016 coup attempt, drawing fierce condemnation from the UN and press freedom advocates. With the horrific murder of the Saudi journalist Jamal Khashoggi, Turkey’s Erdoğan has been given a perfect tool for showing a polished image of its country. But the truth is that the president’s interest in the case is not about he’s eager for a free press. Erdoğan held last week a speech about the murder of the Saudi journalist Jamal Khashoggi. But why does the man care who suddenly captures most journalists around the world about a journalist? The questions are in the air, but Turkey’s President Erdoğan does not intend to answer them. However, he continues to exploit the horrific murder of the Saudi journalist Jamal Khashoggi for his own purposes. 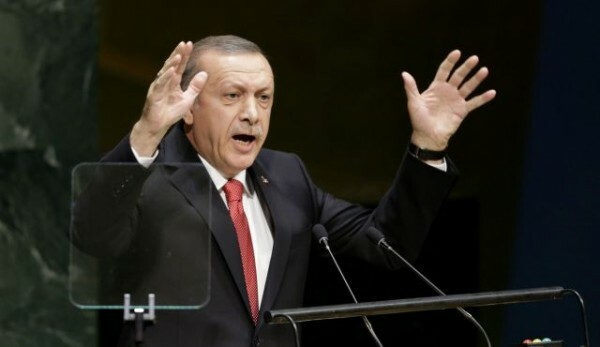 Erdogan crushed a coup attempt which he called “a gift from God ” in July 2016 and then used the occasion to declare a state of emergency, imprisoning opposition politicians, arresting tens of thousands of perceived opponents, journalists, and civil society leaders, confiscating opponents’ businesses and bank accounts, and cracking down on the remnants of the free press.